The Mangere community was devastated when hundreds of litres of violet dye spilt into Oruarangi Stream in 2013. 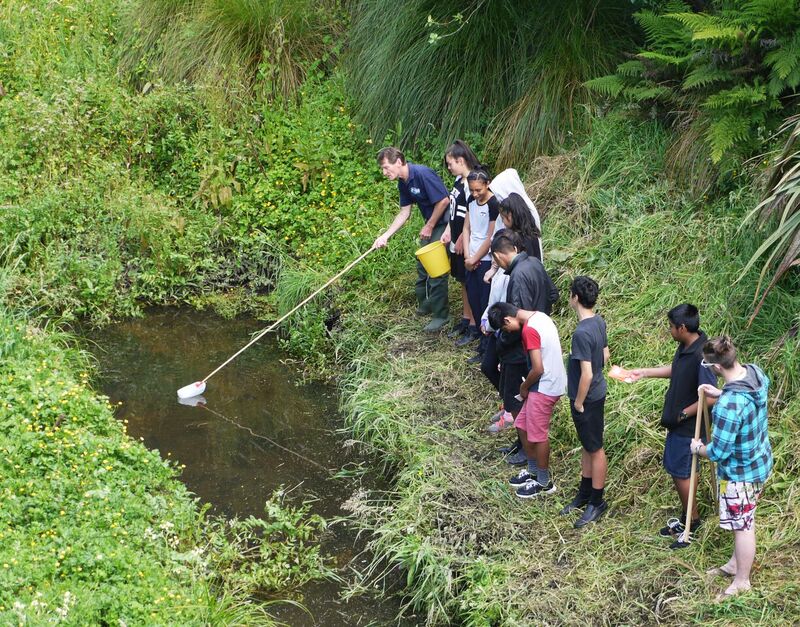 Students monitor Oruarangi Stream. Credit: Sarah Morgan, SouthSci.